Not fond of paddling? Motor optional. 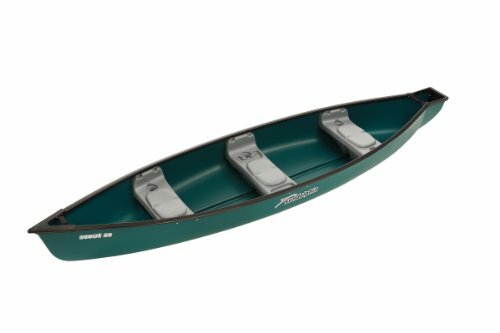 The Water Quest Square Back Canoe steers and maneuvers like a regular canoe but has the benefit of a built-in motor transom. Trolling motor sold separately. •Steers and maneuvers like a regular canoe with the built-in benefit of a transom (motor not included) •Durable high-density polyethylene hull •Ideally suited for electric trolling motors •Sturdy square back transom •Capacity for three •Comfortable molded-in seats aid in flotation •Built-in rod holder locations •CE Rated.